The month of May conjures many thoughts and images of spring, flowers, weddings and Mother’s Day. Today I was reminded that even though there is a holiday just to show moms EXTRA love and appreciation, they should be shown appreciation everyday for all they do and did for their children. Today’s reminder of a mother’s love came today at lunch watching this wonderful mama taking care of her sweet little babies. My mom doesn’t live nearby, and I do miss her. But I will be sure to call her tonight and let her know that I appreciate her years of protecting, guiding and caring for me, both near and from afar. Hope you are having a wonderful week, mes bons amis!! 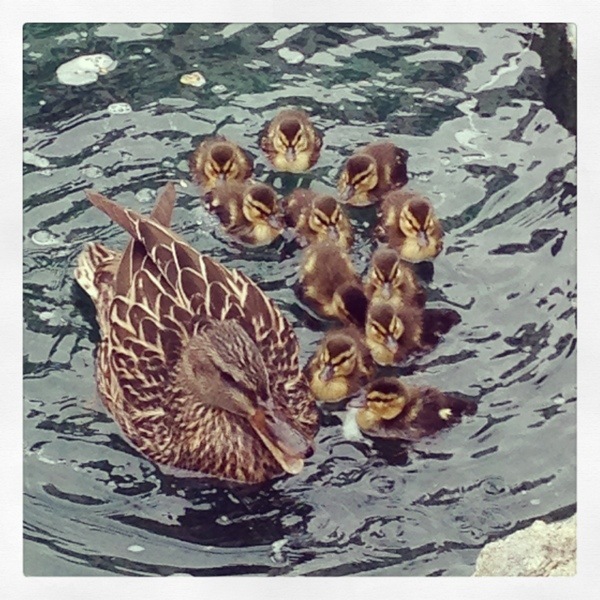 This entry was posted in belle vie and tagged animals, la prèsente, Mother's Day, photography by rebeccawenstrup. Bookmark the permalink. thank you!! i absolutely love the photos on your blog – so beautiful. looking forward to seeing more! !